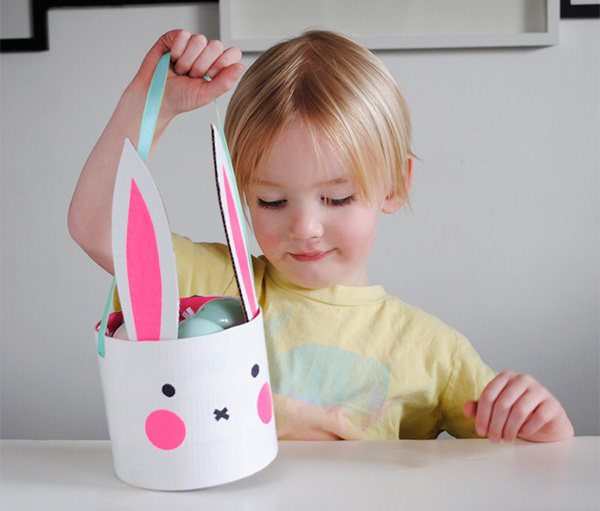 Hop into some fun craft activities with the kids this Easter! Not everyone has Martha Stewart crafting powers. 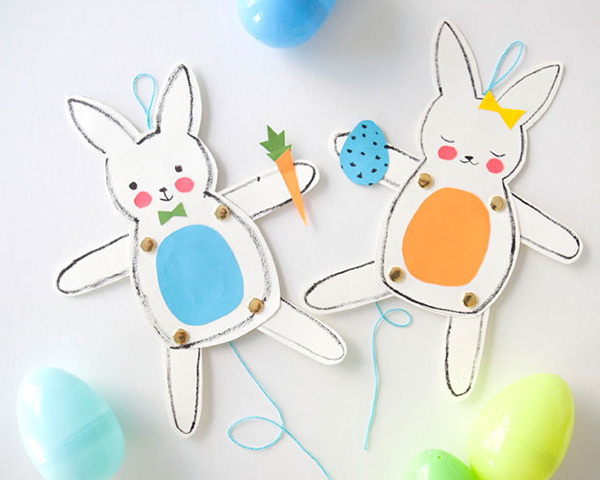 That’s why our Babyology list of fabulous Easter art and crafts projects has something for those who usually admit defeat in the struggle to find the end of the sticky tape and those that can craft like a boss. Click on through to find our best Easter activities to get busy with! The cuteness scale is through the roof on this one. Sarahndipities shows us how Easter thumbprint pictures are a super easy (relatively mess free with a few ink pads) way to decorate cards this year – or let the kids go to town on a cheap blank canvas. If you have one of those electric cake pop / cake ball makers (Kmart often have these for under $20), it’s time to drag it out from the darkness at the back of the appliance cupboard for some cooking action. 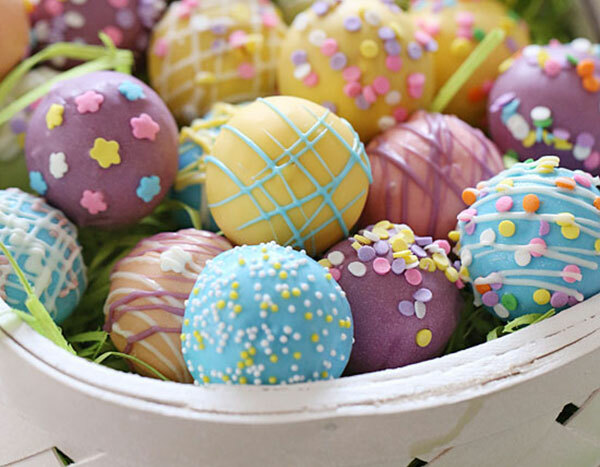 Skinny Taste have a great tutorial for making Easter Egg Cake Balls with a cake ball pan and using Wilton Candy Melts, which you can find in Spotlight stores here in Australia. But I’m all for cheating with the electric cake pop maker. 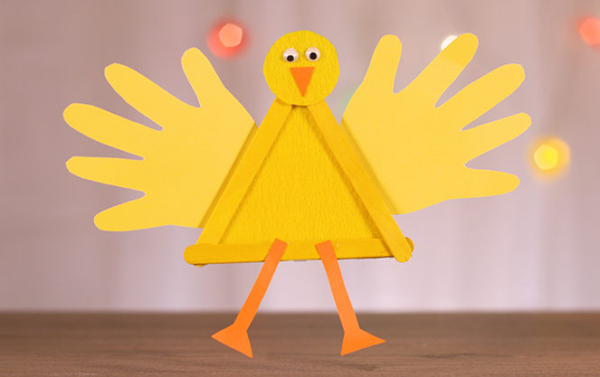 Tiny hands are the perfect tool for creating this special Handprint Easter Chicken craft. 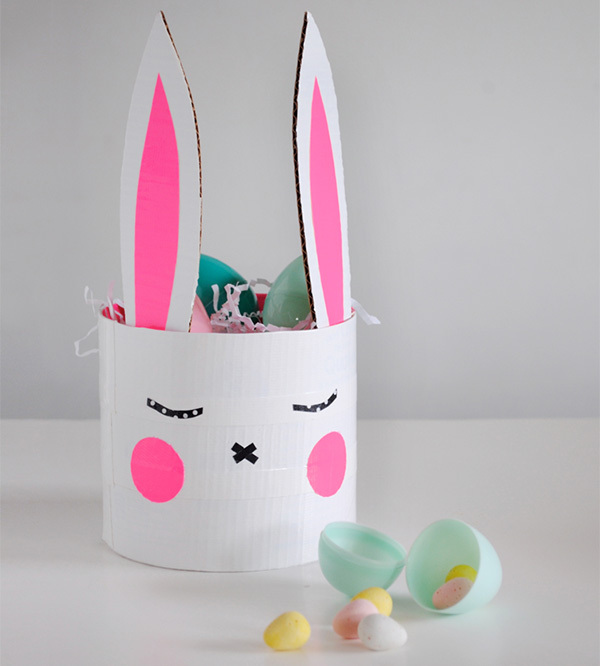 Just a few simple crafty materials, and you’re on your way to a gorgeous Easter craft that kids of all ages can make. 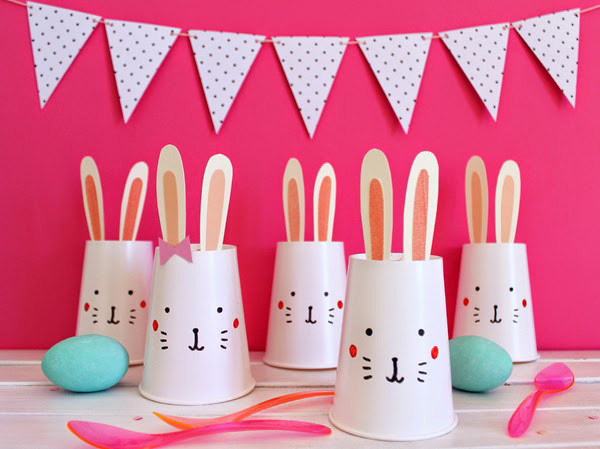 Plastic drink cups become super cute little bunnies with the help of Giochi di Carta blog. Perfect as a decoration, but even more fun for hiding eggs or a makeshift bowling game, you don’t need a lot of materials to get started and in no time your living area can be transformed to a rabbit burrow! Easter Saturday in our home is usually spent creating the most ostentatious egg nests Easter bunny has ever seen, but this year I might push to scale it back a wee bit. I’m loving this Bunny Basket which is much more hip and contemporary than my children’s usual style of the gaudier the better. Mer Mag provide a full tutorial on how to create your own, so hop to it! If you have an inner Nigella Lawson, then here’s a rather spectacular Easter cake that is sure to be the showstopper of any Easter lunch dessert table. 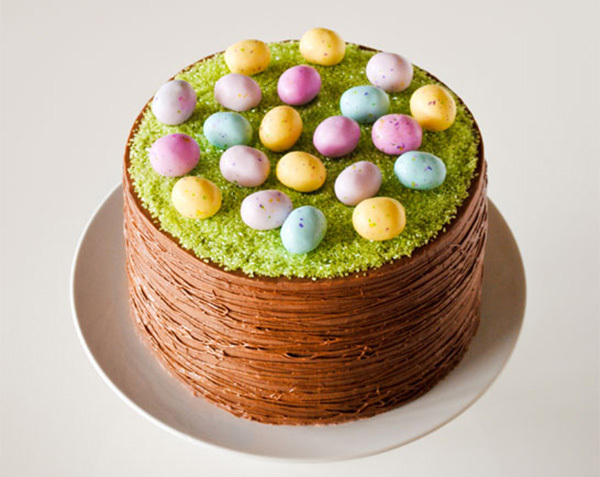 There are step by step instructions from cake supremo Carrie Sellman on how to create the Easter Basket Cake, which looks so straightforward, I think I might give it a go myself. Handy with a skillet? 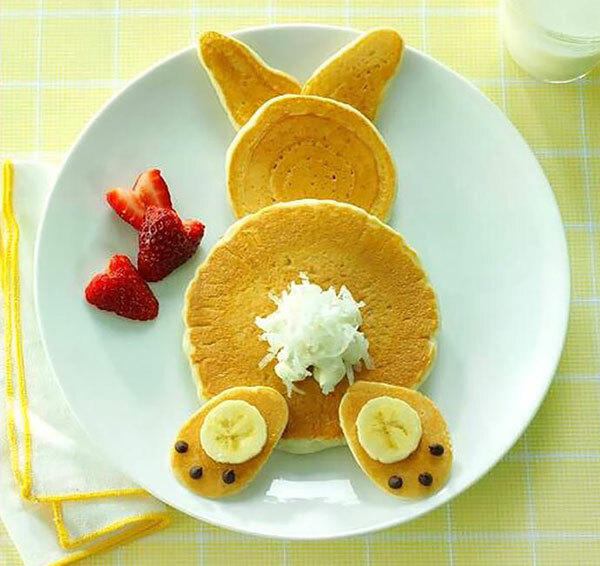 Even breakfast can be a celebration with Easter Bunny shaped pancakes. Use a dollop of whipped cream and a sprinkle of coconut for a fluffy tail, as seen in this image from Taste of Home. My favourite blog Eighteen25 always hits the mark perfectly for holiday crafts of any kind and Easter is no exception. 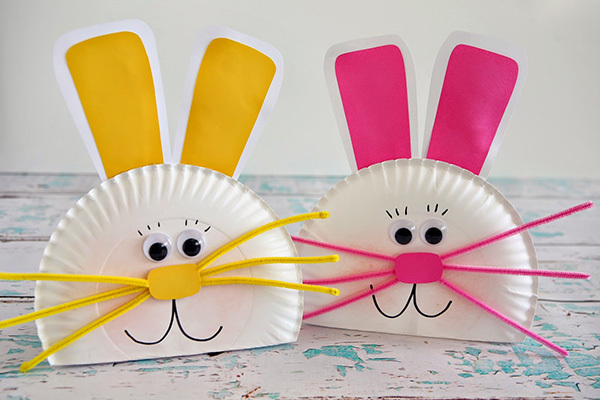 Small children will get a real laugh out of the googly eyes when constructing their own Paper Plate Bunny, and maybe adding an occasional curly twist to a whisker. Not everyone is into dark and milk chocolates, so it’s white chocolate to the rescue! 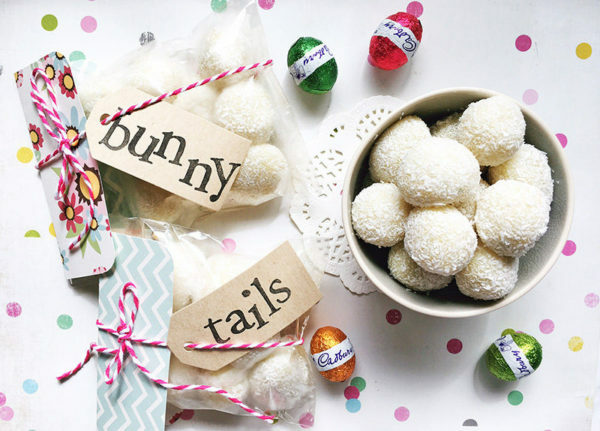 These coconut citrus ball bunny tails hit the sweet spot perfectly. Perfectly smooth and creamy with a refreshing citrus burst, they’re super easy to make, and the perfect gift for hard to please chocolatiers! 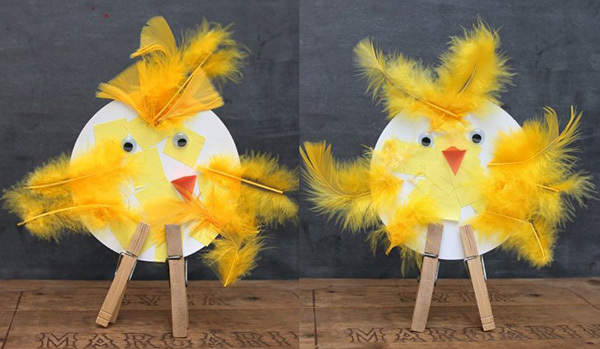 There’s some serious glue and feather action going on in the construction of these ridiculously charming, quirky, Easter chicks. Housing A Forest give us the run-down on how to make our very own peg legged, paper plate bodied, balls of yellow fluff. 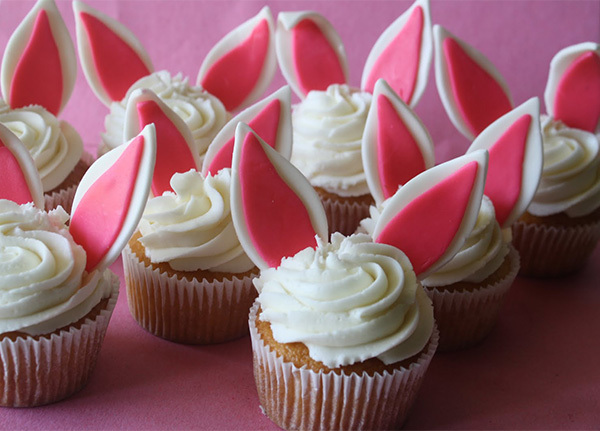 Something that anyone can do is mix a bit of food colouring into a shop bought (or fancy homemade) fondant to create Bunny Ear Cupcakes, as shown here by the gorgeous Rose of Rose Bakes blog. A simple cupcake, a piped buttercream icing and ears (cut freehand or trace a template) – that’s one awesome way to wow a group of kids! Slightly older children will love nutting out how to create this silly but very amusing Jumping Jack Easter Bunny. A template to download and full instructions are available at the Pottery Barn Kids blog and most of the supplies you will find at home or are available from your local newsagent. 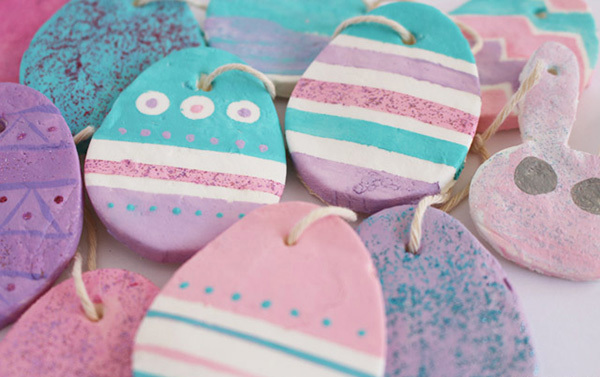 For those that really love to craft and have time and patience on their side, the Baking Soda Easter Egg decorations look like an eggcellent way to spend a fun afternoon. The DIY Dreamer team give us step by step instructions on how to make these very pretty eggs that can be used year after year to decorate. Love to give Easter gifts but just don’t have the time this year? 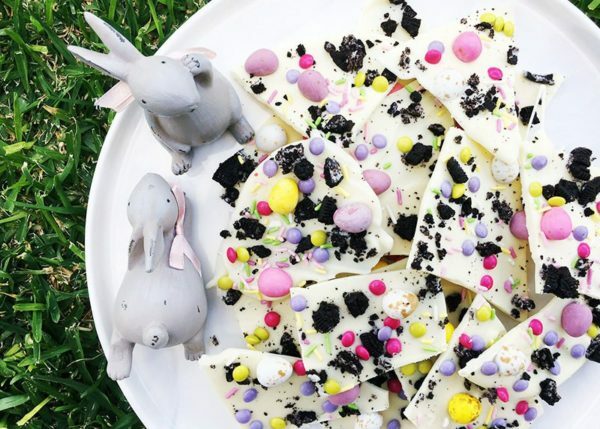 Our Easter egg and Oreo bark recipe is just what you need. The simplest gifts are often the best, and even the kids can get into the action for this one. You might want to make a double batch though, it’ll get snapped up by little hands faster than rabbits can multiply! Enjoy! 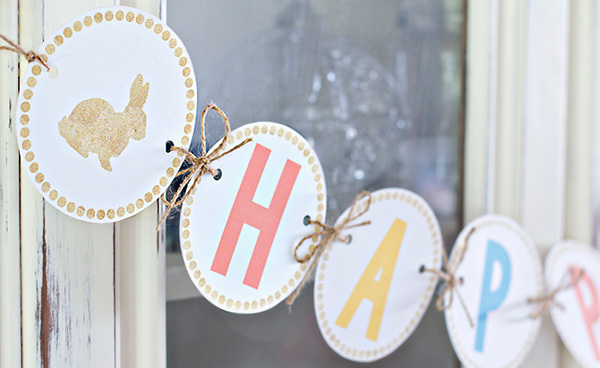 And of course, for those who just want to hit the print button and run, the printable Happy Easter banner is just the ticket. You can download it free at Tatertots and Jello, then print at home at your leisure! 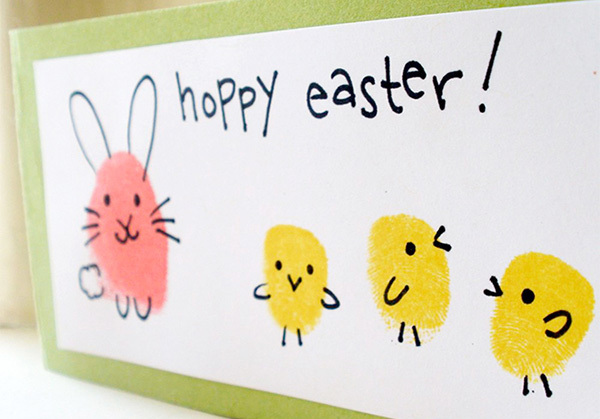 Happy Easter crafting!